Automate freshwater replenishment, and say farewell to heavy lifting, unstable water parameters, and the need to frequently watch your water line. Topping off evaporated water for our aquariums is a tedious but essential task that every hobbyist encounters to maintain stable specific gravity & salinity levels. 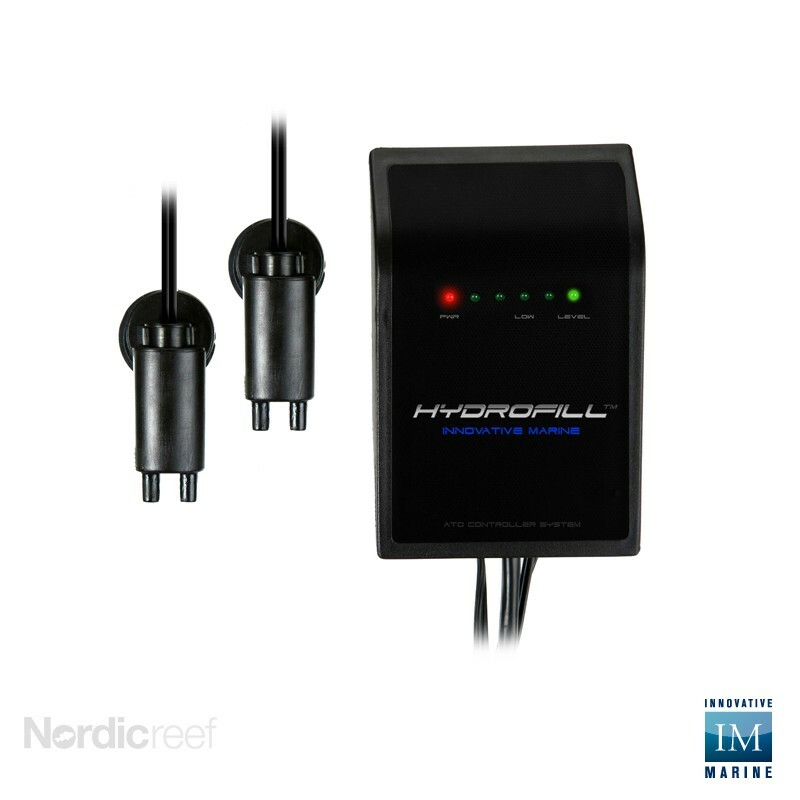 The HydroFill ATO Controller System takes advantage of your water's conductive properties to complete a low voltage circuit and cause a control relay to actuate and replenish water as it evaporates. This departure from outdated float sensors, offers the latest automation in electronic sensing for precise accuracy, repeatability, and no-moving part reliability. Sensors utilize rare earth neodymium magnets for stationary placement and simple out of the box installation. 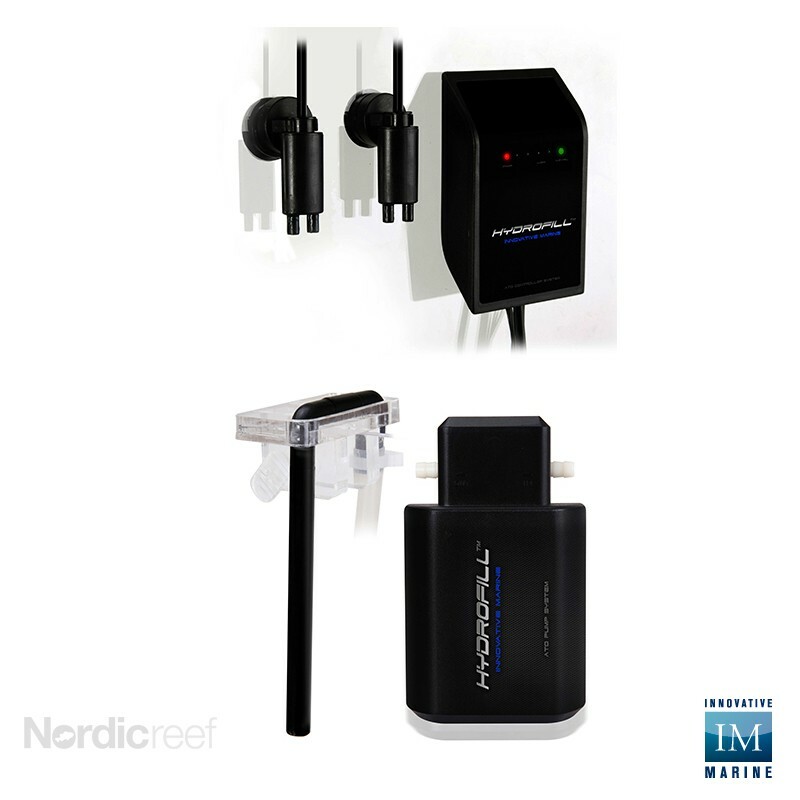 Small form factor makes it the ideal choice for nano to full size aquariums. Two chemically inert graphite electrodes are housed in each sensor for redundancy & consistent long-term performance in harsh marine environments. 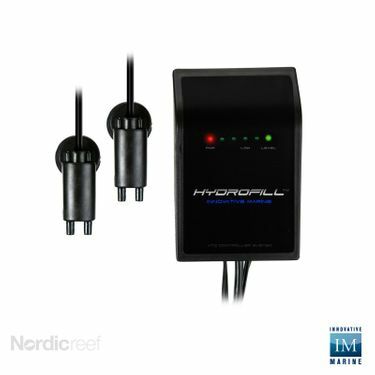 HydroFill Controller (UK plug) has not been evaluated yet.